So much of what Golden State has accomplished this season has come inelegantly. In a season when the Warriors have hardly pressed at all, they still appear to be the odds-on favorites to complete a three-peat. Leave it to the Warriors to thread dominance throughout even their least demonstrative campaign in recent memory. Golden State seems to have only a passing interest in most regular season basketball. Very few teams in the league can actually draw their attention to begin with, leaving most stuck with a half-hearted alternative. Maybe the Warriors lock in for a quarter or two. More often, it’s a few minutes at a time—just enough to tilt the balance so that one of the most loaded offenses in the history of the sport can roll to a win. Even that cursory investment was enough to clinch the best record in the West this season, which speaks to the competitive states of the Warriors and their conference. It’s been a fickle year out West. The best teams in the conference are largely talent-rich and well-designed, though none of them beyond the Warriors has managed to keep its balance. Houston, the incumbent challenger after last year’s run to the Western Conference finals, somehow lost the beat of its defense for three quarters of the season. There’s a lot to like about Denver, save for the fact that Golden State has gone out of its way to squash the Nuggets at every opportunity. The Lakers have long since imploded. Whatever Oklahoma City was building toward seems to have given way to attrition. Utah and Portland have had their moments, but seem a player or two short. This is the kind of field that makes the tiers of competition painfully tangible. The Warriors, in theory, have never been more vulnerable in the Kevin Durant era. Their lack of depth has become a recurring problem. Golden State’s regular season defense, due both to its lineups and its wavering focus, is hardly what it used to be. A now-infamous tiff between Durant and Draymond Green has been addressed and packed away, but not without some scarring; it’s hard to keep an air of breezy dominance after bringing a dynamic that fraught into open air. There was never any hiding from the fact that Durant could leave the Warriors in free agency this summer, though any hope of pretense fell away when Green gave words to an organizational unease. So much of what Golden State has accomplished this season has come inelegantly. And yet, with the start of the playoffs just days away, there doesn’t seem to be all that much peril in their quest for a three-peat. 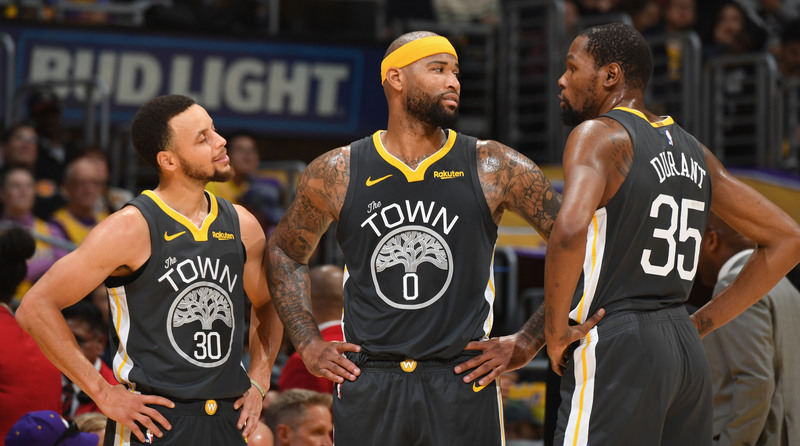 It’s always dangerous to assume the likely as inevitable, though it’s as tempting now as ever—after the Warriors left themselves open for the better part of a season and still came out a cut above. All of Golden State’s underlying issues are still there. The problem is that no other team in the West has been able to make those issues relevant. The postseason could always recontextualize things, but it’s hard to shake the feeling that the Warriors haven’t played their best basketball this season simply because they haven’t had much occasion to. After all they’ve seen and won, there isn’t much incentive to treat the regular season as more than a formality. Klay Thompson can start the season in a terrible shooting slump without consequence. A team with four star players could introduce a fifth mid-season, absorbing any issues that arose. Draymond Green can fully lose his three-point range, average 7.5 points per game, and mount a successful season all the same. Through all the noise, Durant and Stephen Curry—two all-time greats—somehow played better and more fluidly in tandem this season than ever before. None of this was easy, per se, though it wasn’t exactly trying, either. A fairly dramatic Warriors season has turned out a bit drab. For a team at this stage in its sustained excellence, drab may well be a desired result. 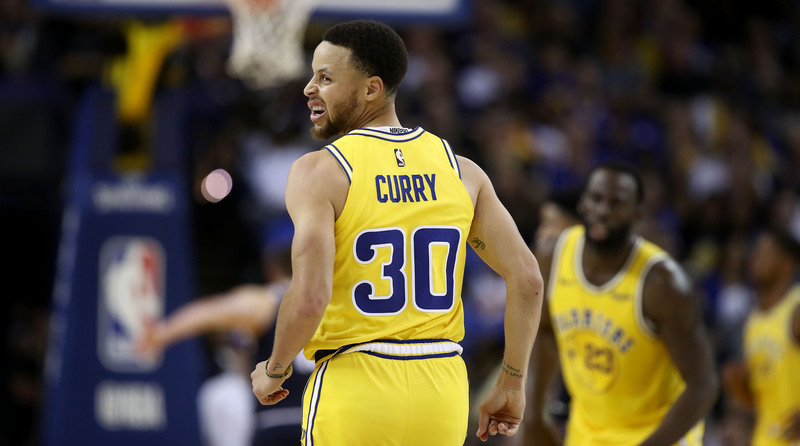 It also may be the clearest evidence yet of Curry’s true superpower: the sort of mediating influence that can deescalate the squabbles of a team in pursuit of its third straight title. History tells us that circumstance will likely tear a group this talented apart from the inside, whether through ego, ambition, or more general irritations. The Warriors have shown some of those symptoms; in a sense, they are a defining quality of a particularly strange season. No team is immune. Golden State, however, by their incredible talent and the grace of some of the personalities involved, has seen its actual play weather so much already. Basketball authority can take many forms. Sometimes, it looks like a 73-win season. This year, it looks like a team distinguishing itself by hardly pressing at all.